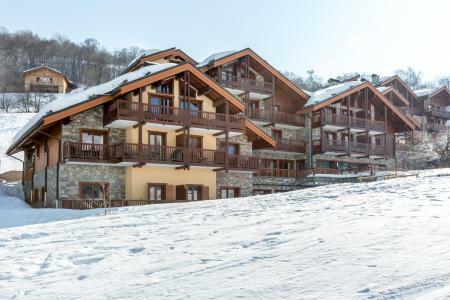 For a successful skiing holiday, rent the accommodation to Saint Martin de Belleville which is situated in the mountains Northern Alps, Savoie. This skiing resort is well known for its beautiful surroundings and breathtaking landscape. Booking to Saint Martin de Belleville is easy and convenient and can be done either by phone or via our website. Each accommodation shown online is available for rent, just select the date and start date of your holiday at to Saint Martin de Belleville to find out the cost. Don't hesitate, now is the time to ski ! 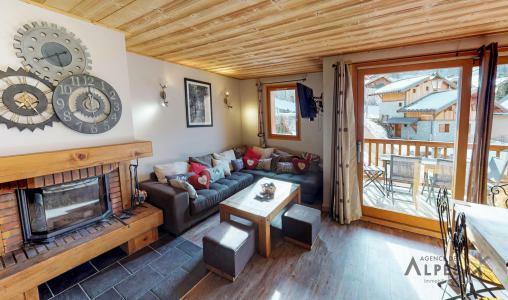 Situated in the center of the village and less than 300 meters from slopes, this beautiful chalet has been fully refurbished for your confort. Discover charm, authenticity and warmth in this traditionnal stone built chalet. It can accomodate up to 18 persons and has all the needed equipments, facility and luxury to make your stay an enjoyable one. IMPORTANT: Due to the "Tour de France 2019" and the "Etape du Tour", arrivals and departures will not be possible on Sunday, July 21st and Saturday, July 27th, the road will be closed. On Friday, July 26th, traffic will be possible ONLY before noon. Please, check information from "Info Route" for traffic conditions.. The Residence des Murgers is in the Grangeraies area of Saint Martin de Belleville. There are 40 steps leading directly from the residence to the St Martin cable car and to the ski slopes. The centre of Saint Martin de Belleville is just a few minutes walk away and has all the shops and restaurants you need for a relaxing holiday.Saint Martin de Belleville is part of the Three Valleys ski area. IMPORTANT: Due to the "Tour de France 2019" and the "Etape du Tour", arrivals and departures will not be possible on Sunday, July 21st and Saturday, July 27th, the road will be closed. On Friday, July 26th, traffic will be possible ONLY before noon. Please, check information from "Info Route" for traffic conditions.. 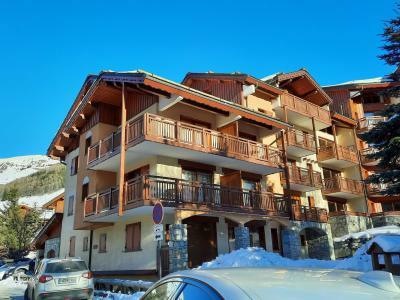 The Chalet de la Croix de Fer no 2, refurbished in 2011, is situated in the heart of the St Martin de Belleville village, the pistes are about 300m from the village ski lift. IMPORTANT: Due to the "Tour de France 2019" and the "Etape du Tour", arrivals and departures will not be possible on Sunday, July 21st and Saturday, July 27th, the road will be closed. On Friday, July 26th, traffic will be possible ONLY before noon. Please, check information from "Info Route" for traffic conditions..
Chalet Adèle is a large chalet built with stone & wood in 2013 located close to the button lift slope in the alpine village of St Martin de Belleville. Your accommodation is 5 minutes walk from the village center du village abd all its shops and services. IMPORTANT: Due to the "Tour de France 2019" and the "Etape du Tour", arrivals and departures will not be possible on Sunday, July 21st and Saturday, July 27th, the road will be closed. On Friday, July 26th, traffic will be possible ONLY before noon. Please, check information from "Info Route" for traffic conditions.. The Gentianes residence is ideally located in the Grangeraies area of Saint Martin de Belleville. 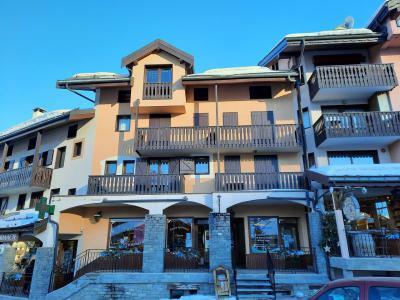 The residence is at the foot of the ski slopes and just a short walk from the Saint Martin gondola lift which links the resort to the Three Valleys ski area. There is a lovely view of the surrounding area from the apartment balconies. IMPORTANT: Due to the "Tour de France 2019" and the "Etape du Tour", arrivals and departures will not be possible on Sunday, July 21st and Saturday, July 27th, the road will be closed. On Friday, July 26th, traffic will be possible ONLY before noon. Please, check information from "Info Route" for traffic conditions.. This small studio for 2 people is in the centre of Villarencel on the outskirts of Saint Martin de Belleville. The shops are just 100 m away and there is a drag lift in the centre of the village 300 m away. 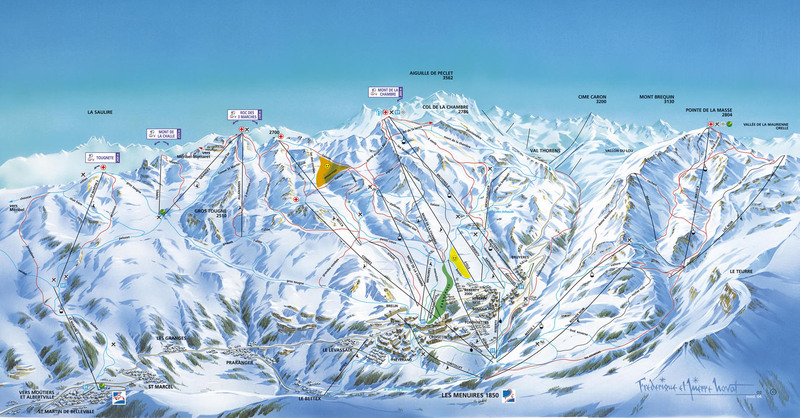 Saint Martin de Belleville is part of the Three Valleys ski area. IMPORTANT: Due to the "Tour de France 2019" and the "Etape du Tour", arrivals and departures will not be possible on Sunday, July 21st and Saturday, July 27th, the road will be closed. On Friday, July 26th, traffic will be possible ONLY before noon. Please, check information from "Info Route" for traffic conditions.. The residence Les Balcons de Tougnette is located in Grangeraies, in Saint Martin de Belleville. The cable car is located 50 m from the residence. You will found the shops and resort center 100 m from the residence. IMPORTANT: Due to the "Tour de France 2019" and the "Etape du Tour", arrivals and departures will not be possible on Sunday, July 21st and Saturday, July 27th, the road will be closed. On Friday, July 26th, traffic will be possible ONLY before noon. Please, check information from "Info Route" for traffic conditions.. 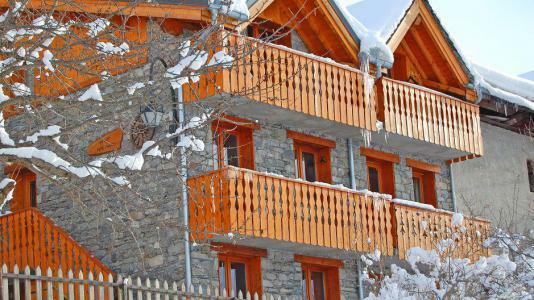 This charming small residence Les Chalets du Gypse, Saint Martin de Belleville, Alps, France comprises of 30 apartments you can leave with skis on. It is ideally situated at the heights of St Martin, Alps, France (300m from the centre of the village) with direct access to the pistes and benefiting from a panoramic view of the valley IMPORTANT: Due to the "Tour de France 2019" and the "Etape du Tour", arrivals and departures will not be possible on Sunday, July 21st and Saturday, July 27th, the road will be closed. On Friday, July 26th, traffic will be possible ONLY before noon. Please, check information from "Info Route" for traffic conditions.. The Biollay Residence is ideally located in the center of St martin de Belleville. Just above a small shopping arcade including takeaway, bakery, dry cleaner's,chemist, florist and around 20 meters away from a shop. Direct access onto the slopes and the button lift of the center of St Martin. IMPORTANT: Due to the "Tour de France 2019" and the "Etape du Tour", arrivals and departures will not be possible on Sunday, July 21st and Saturday, July 27th, the road will be closed. On Friday, July 26th, traffic will be possible ONLY before noon. Please, check information from "Info Route" for traffic conditions..